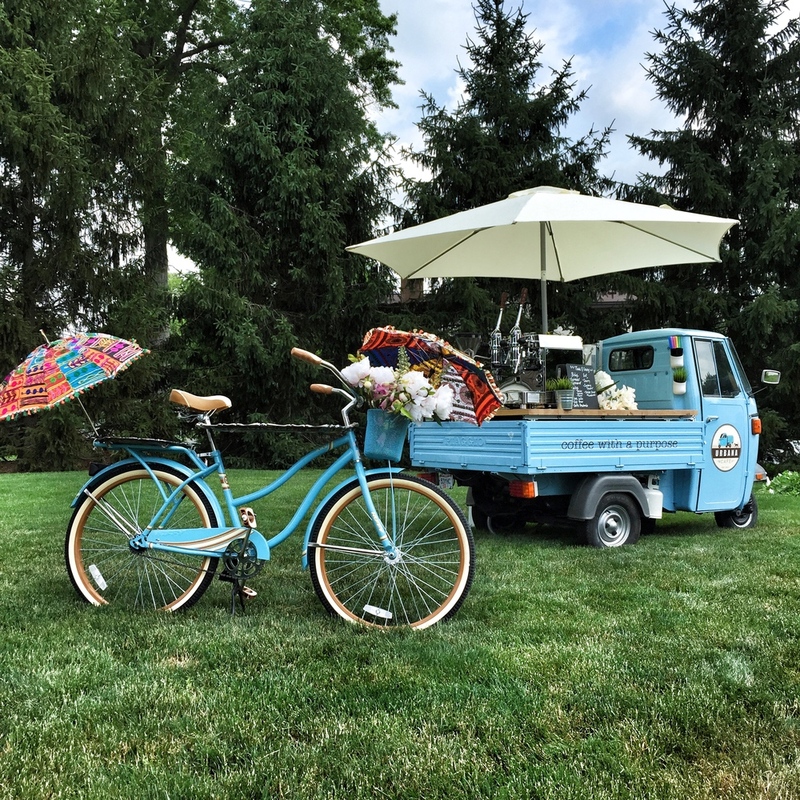 A classic utility motorcycle with "larger than life" personality was designed to fit the smallest streets of Italy and now finds in Cincinnati a new home and a new purpose. L'Ape, invented by Corradino D'Ascanio and produced by Piaggio in 1946; Ape is the Italian word for bee. 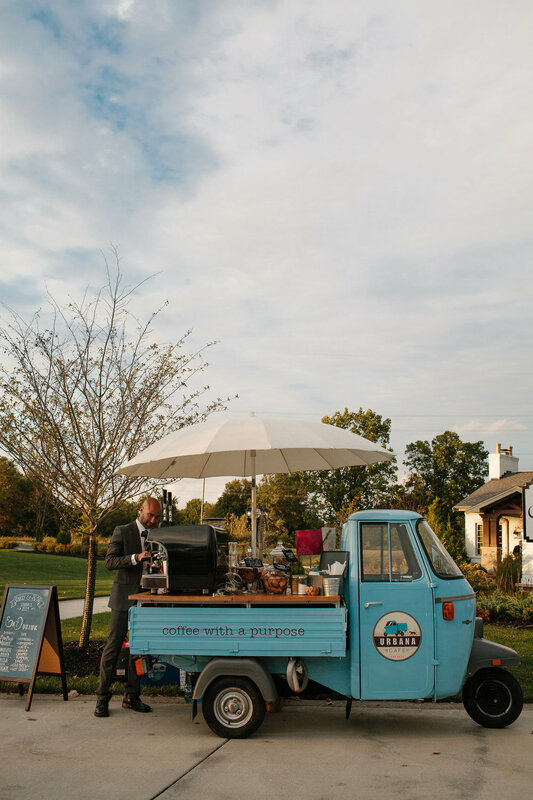 This classic Italian finds in Cincinnati a new purpose as a mobile espresso bar. Cool and unique, this little gal is not shy about working days or nights, hot and cold, rain or shine. 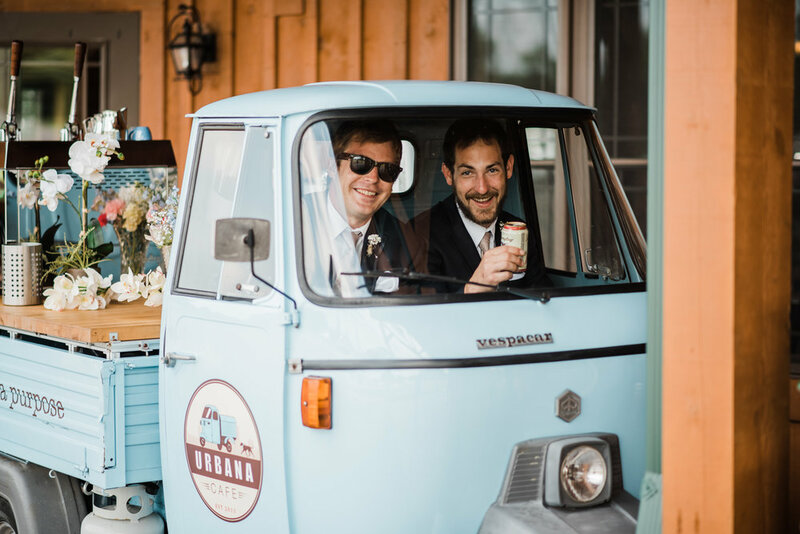 Urbana Cafe main focus is on Italian style coffee extraction using quality ingredients and using a very tradition Neapolitan approach for espresso making. This timeless coffee extortion system not only produces a rich and full-bodied coffee, but also brings to the live a relationship between barista and customer that goes beyond coffee to creating a memorable experience. 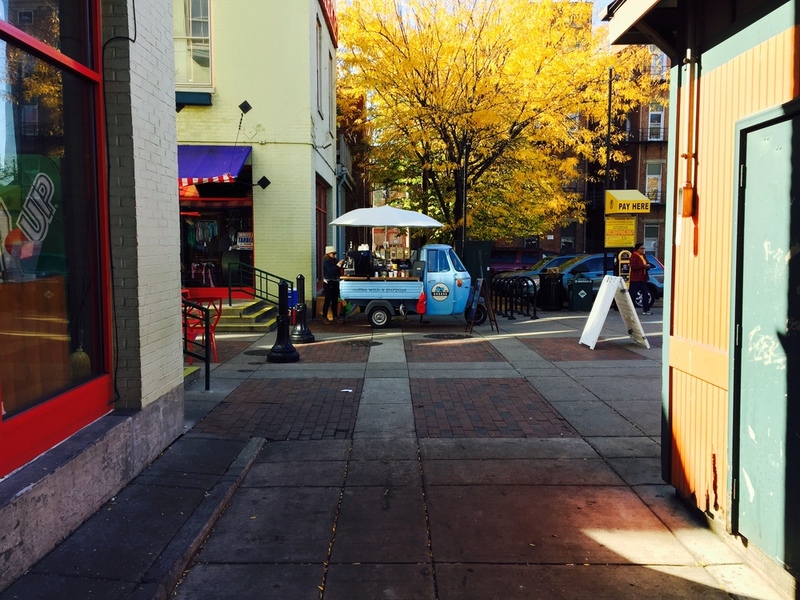 Our Vespas, Julia and Lucia can be found most weekends at Findlay Market and also around the city in festivals and private events. 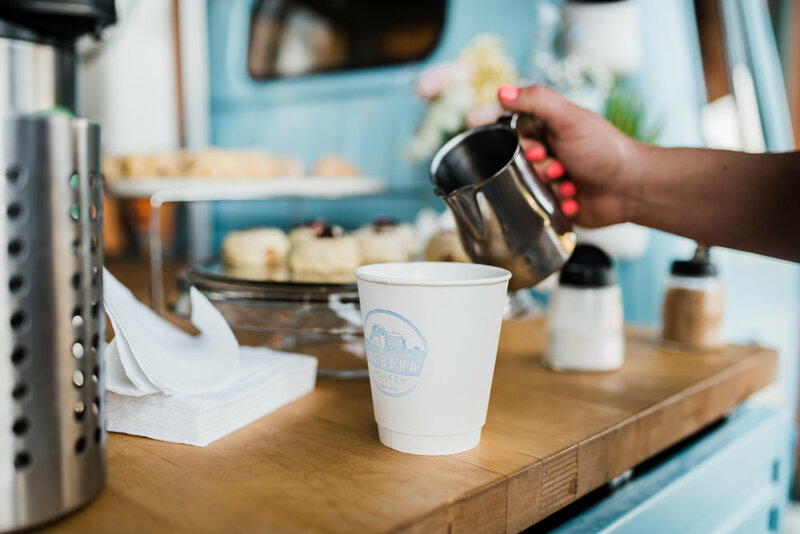 Located in the heart of Broadway Square in Pendleton, Urbana Cafe serves fine espresso drinks and delicious snacks with an Italian-American twist. Photos by Dustin Powell Sparks. 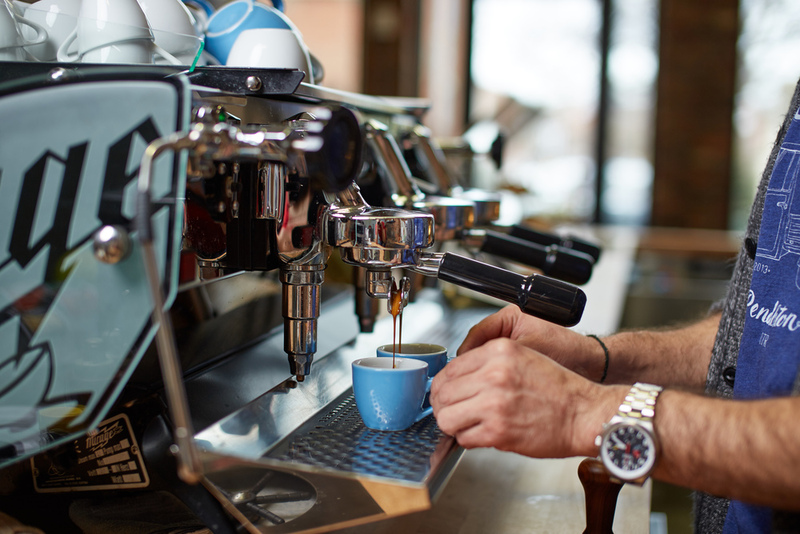 Vespa and espresso culture collides at this Urbana Cafe location, from the walls to the espresso machine, from its relaxed environment to the energizing espresso offerings. The multi-level cafe offers the choice to observe passers-by from the balcony-style bar on the 2nd floor, or watch the art of cooking and espresso making as it occurs in the open-floor design. Situated in the east side of historic Walnut Hills, this space promotes building community and connection among us. 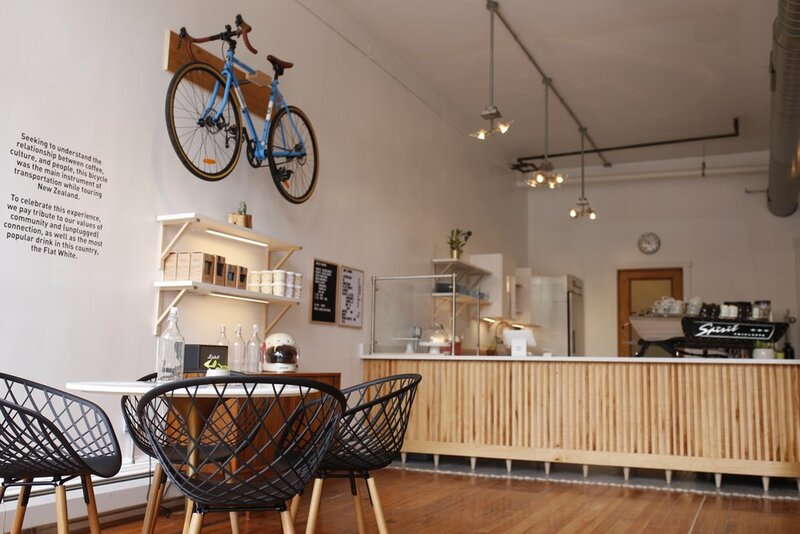 This intimate and minimalist space asks for you to put the technology down and enjoy a flat white paired with a croissant with the person in front of you. 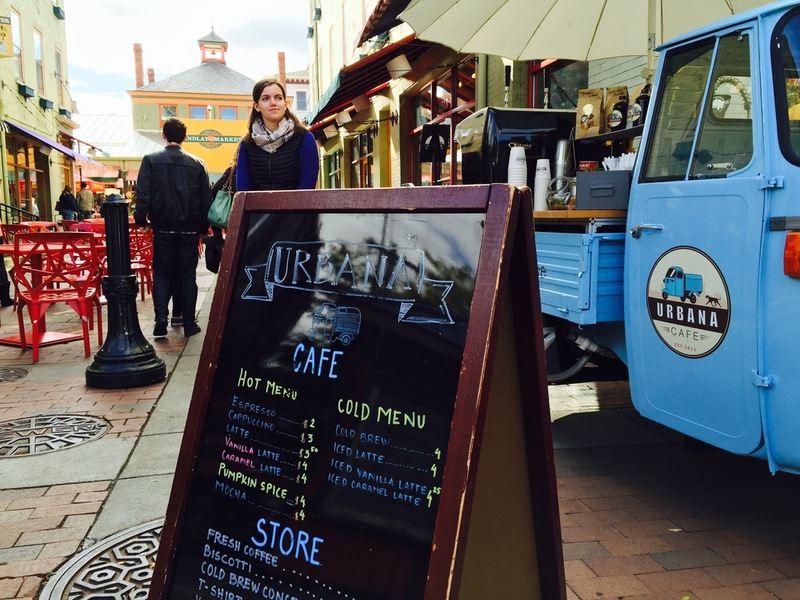 Urbana Cafe on Woodburn ave is our newest cafe, opened in July 2018, this located is all about connecting us without interruptions or distraction from technology. Not only great neighbors, such of The Woodburn Brewery, Opieo, Wild Things surrounded us, but this location is also a hub for runners, cyclers, and on the official route of the Flying Pig Marathon. 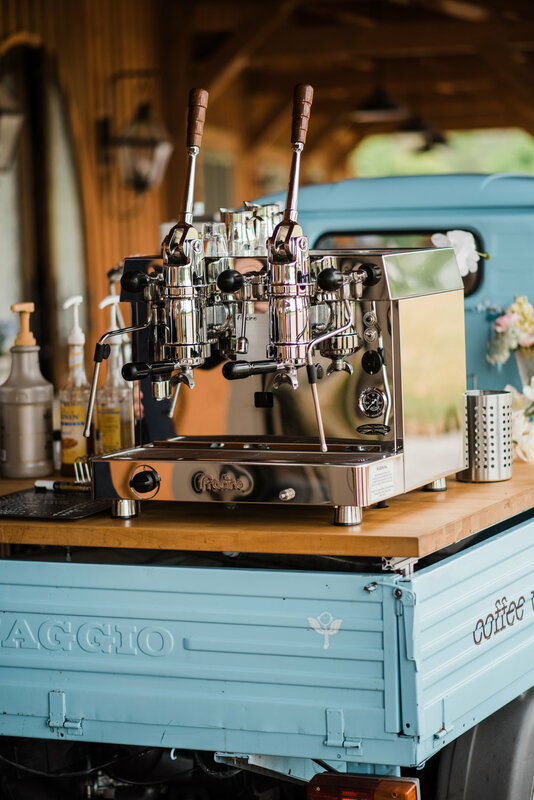 Our love for the Vespa, espresso culture, and cafes around the world fills our walls with the timeless and nostalgic take of black and white photography. Comfortable mid-century modern furniture awaits patiently for you and your company to fill the cafe with great conversations and laughters. Bring a friend, come hungry and leave the computer home. Being a small part in a couples "big day" has been such a joy since the beginning of our journey. 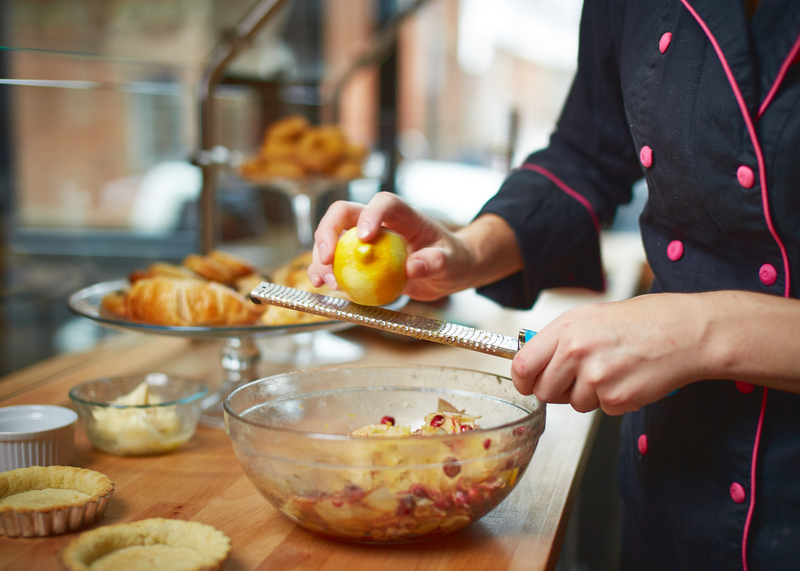 This type of engagement in now part of the Urbana Cafe's DNA and we wouldn't have it any other way. We are here to enable your guests to share in your very special day in the most unique way.